Life is like riding, you will only have harmony once you stop fighting it. Mainly during my first years of riding as a young teenager but also during various places and stages in the past, I attracted often the ‘bolter’ horse that is sensitive, very electric and always running away. This was a strong connection of who I was at the time. It was a reflection of issues that I was learning from and working through in how I dealt with my own life – flee, run, don’t reflect on things just quickly get to the next place. I was afraid of confrontation, scared and with a belief that I was somehow wrong no matter how much I had come to learn from experience and others. Recently I was attracting horses that were not forward moving and had experienced some kind of trauma in the past. To help them forward again I needed to work on healing their fears and creating new experiences for them to trust and focus on. They didn’t want to go forward because they were stuck in the past and afraid it will happen again. This was a direct reflection of myself at the time. Petrified to move countries again because of the memory of losing everything I had in the past. 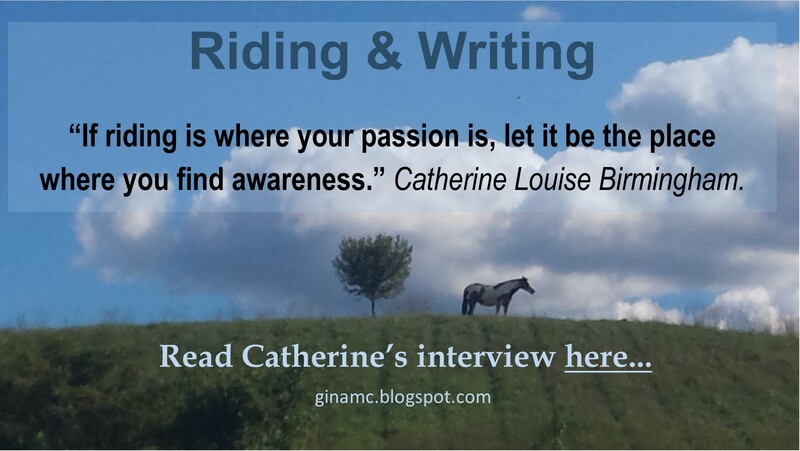 The last time I made the same decision to stop riding and focus on writing I was staring at the loss of my home, my career and most painfully, my animals. So I stayed in a negative situation for a long time because moving out of it presented a ‘possibility’ to experience the same trauma as last time. How often will a horse stay within the negative space because even though the grass is much greener on the other side of the gate, the thought of what will happen as he goes through the gate is more terrifying than the pain and discomfort they may currently be in. I too have been broken and afraid many times before. Here I am together with Lee, my shining light that always shows me the way home. When you are working with broken, afraid and lost horses, the same as in broken people, their spirit has been broken, their faith and trust in their lives is lost. To restore that is to restore their belief and faith in themselves. They don’t need someone who is going to feel sorry for them, they need someone who is going to empower them, believe in them and help them make change in their life. ‘When in doubt go forward’ this I learned during the challenging learning years in Germany but these words were constantly instilled in all of us while riding under the guidance of Herr Josef Freese. He had a way of driving forward through any of our doubts about our abilities and his stable motto was ‘geht nicht gibts nicht’ – there’s no such thing as I can’t. Any time we were facing any difficulty with training a movement, feeling confusion from the horse or any problem at all with the contact, we were immediately taught to go forward. By going forward we were able to bring the horse back into a state of clarity and focus allowing for a possibility to approach again whatever it was that we were struggling with. A forward mind frame was very important to Josef whether it was with the Dressage horses or the Showjumpers and he taught it to the horses by first teaching it to the riders. Doubt is an extension of fear. It may seem small but it comes off a branch to a much bigger tree. The response of fight or flight is a fear based response. Although we may think a non-forward horse to be ‘lazy’ or a bolter to be ‘sensitive’, they are both showing signs of a fear based awareness that is also connected to a much larger tree. Forward is neither of the above two types of horses – the ‘lazy’ horse or the ‘bolter’. Forward is a positive action within a calm and focused mind. Being ‘forward moving’ is a momentum of continual positive thought towards an eventual positive action. Even at a halt, the horse is in a peaceful but powerfully aware state ready for the next movement – including going backwards. Being forward is built upon a calm mind that is not afraid of what is to come in the future. 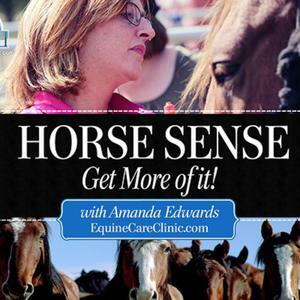 Forward is necessary in a Dressage horse as it becomes the foundation of response to all the difficulties in training that will come his way during his many years of training. It is the same foundation and clarity of focus a Zen master has when outside action is necessary but inner turmoil is not. A mind scattered with fear, chaos, self-judgment and the past is not able to create the momentum of true forward. The water must be clear and empty in order for it to come to the boil. If thoughts are there first they block the flow of energy just as the pasta does not allow the water to come to the boil. So why do I keep attracting a horse that has a problem before I even bought it or it came to me for training? ‘We only teach that in which we ourselves need to learn.’ Unknown. Without realizing it as we help another heal, we are ultimately helping ourselves to heal. As we help another understand and move beyond a problem in their life, we are creating clarity on how to move beyond our own problems. There are so many times where I come to notice that for a particular week I have a similar focus of work needed by various horses in training and nearly all of the students being taught. It could be anything from, consistency, balance, clarity and confidence, taking action or hand position but with every one of these, I always know that there is either something in my own riding that needs attention or more often, something in my life needing the same advice relating exactly to a message I have been repeating throughout the week. As the horse is a mirror to our state, so is the world around us. Growth requires courage, risk and the willingness to go beyond fear. I immediately got back on to help us both move forward from that experience but after that day, we steadily grew together in confidence, healing and forward progression like never before. For a week afterwards I was unable to get her to canter. Not only was I slightly afraid of her after that episode but she was afraid of herself too. It was not possible for her to canter again until she felt the confidence in me rise up and ask with no doubt or care how. It happened one day after I got off and was about to lunge her so that she could canter again without me stopping her. I realized though that it would not help anything if I was not riding her, eventually I would have to face my fear too, so I got back on accepted my fear and asked anyway. She cantered that day and our bond and trust of each other never failed us both after this change. By the time I was leaving this stable, 6 months later, Landetta and I were riding in all environments with her never bucking, shying or running off again. She reminded me how possible it is to face fears and move forward beyond them. She was the great teacher who trusted someone to help her and afterwards was giving lessons to a student of mine saying that ‘she had taught him more than he had ever learned in the 20yrs of his riding’. Forward is the symbolism for flow, it is a reflection of the movement of energies. In Chinese where there is a healthy flow of Chi (energy), creativity, health and movement are at a higher level of existence. Things begin to manifest and come about easier as well as a calmer and clearer state of non – movement. It is where something hits such a high vibration that it becomes still to the eye looking from the outside. This is the level of vibration and harmony that a high level horse with a happy mental state will show. Forward is like having boiling water in order to cook pasta. It takes some time to come to the boil but when it is there you are able to play with the heat, turning it up or down and change the level of boil to your cooking needs. If you put the pasta in too early it will go hard and clump together and take much longer, if at all, to come to the boil but if you give it the required time for the water to become ready, you are able then do with it as you need – easily. Landetta was an example of the block in that flow due to fear and the release of that block by facing those fears. It was at this place and this time that I too was stuck and scared of moving forward in my life but stayed in a negative situation due to my own fears and blocks. This powerful lady showed me again exactly what I needed to know to enable me to move ahead through the next difficult change in my life – that I had the power within to face every fear and that moving forward was the thing we need to do no matter how small a step it was.